The Lyn Ashworth England, design house was founded over 30 years ago. 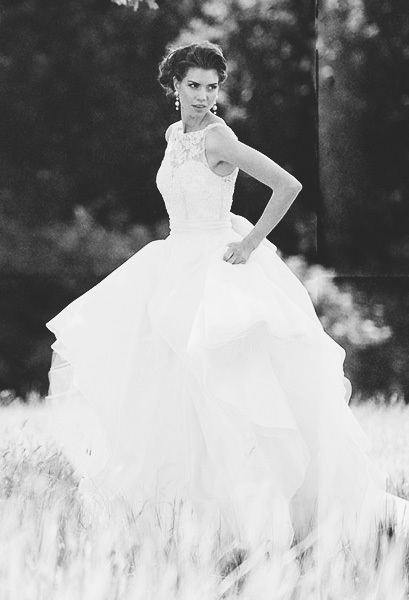 Now at the head of this renowned bridal brand is owner and creative director Sarah Barrett. In 2010 Sarah took over the reins of this thriving bridal label with flare and style, having spent a number of years working along side the founder Lyn Ashworth. Renowned for attention to detail and signature corsetry Sarah has continued to uphold the quality and couture ethos established by Lyn. The design studio and showroom boutique is situated in a beautiful barn conversion on the Duchy of Lancaster Estate, in Staffordshire, where each and every dress is designed and created by Sarah and her talented team. At the boutique, brides will find a treasure trove of breathtaking bridal gowns; each and every Lyn Ashworth dress is the epitome of timeless elegance and romance made with the modern woman in mind. Working with the in-house creative team, brides are able to personalise their dream dress taking inspiration from current and past collections with custom-made commissions available upon request.